The White Plains injury attorneys at Worby Vecchio Edelman now offer the third installment in our series of how we calculate damages in a personal injury case. In July 2018, we explained that before we can analyze the financial aspects of a case, we must determine whether a defendant is liable for the accident having occurred. In August we discussed the concept of past and future damages and the different types of damages, economic and non-economic, i.e., for pain and suffering. This month, we focus on wrongful death damages, that is, what is awarded to a decedent’s estate following an accident that results in death. As a preliminary matter, you should be aware that there is a shortened two year Statute of Limitations to file a wrongful death lawsuit. That time period is measured from the date of death, and cannot be extended. For that reason, it is beneficial to contact an attorney as soon as you reasonably can following an accident. Simply stated, New York allows compensation for pecuniary loss, the monetary damage suffered by the decedent’s survivors due to the death. The law does not allow recovery for a survivor’s pain and suffering – recovery is not allowed for mental anguish, or a loss of companionship. The most successful wrongful death recoveries are those in which there is proof of a loss of support due to the death. Spouses are legally entitled to support, as are children up the age of twenty one. A less defined type of damage is for a loss of parental guidance, which is provable beyond the age of twenty one, but the trick is to distinguish that claim from one for general mental anguish as a result of the death, because that type of claim is not permitted. Due to this limitation, cases involving an infant’s death are generally worth much less than one involving, for example, a young parent with multiple children, or a stay at home parent whose services would have to be replaced by paid help. That same limitation can often apply to an older person who is no longer earning an income, since that older decedent’s survivors would suffer less financial loss. In many cases, a decedent does not die immediately following an accident; there are times when a death might not occur until the passage of a significant period of time. Damages for conscious pain and suffering prior to the time of death are allowed in a wrongful death case. That “significant” time period can actually be relatively short, measured in hours, or even minutes. Evidence that the decedent was still conscious and experiencing pain can be used as proof of pain and suffering prior to the time of death. The law also allows damages for a decedent’s fear of impending death if there is proof that the decedent was consciously aware that death was imminent. An example of that type of case might be a pedestrian crossing in a crosswalk with the light in his or her favor who sustains fatal injuries resulting from a vehicle that fails to yield. Evidence that the pedestrian put up her hands, or took steps to avoid the vehicle can indicate that the pedestrian was aware of the imminence of being struck. In most instances, a wrongful death case cannot be settled without the approval of the Surrogate’s Court. Our firm will perform this service, so that you will not have to hire an additional attorney to obtain court approval to settle a wrongful death case. Trying to determine damages in a wrongful death cases – or in any type of personal injury case – is not a simple task. 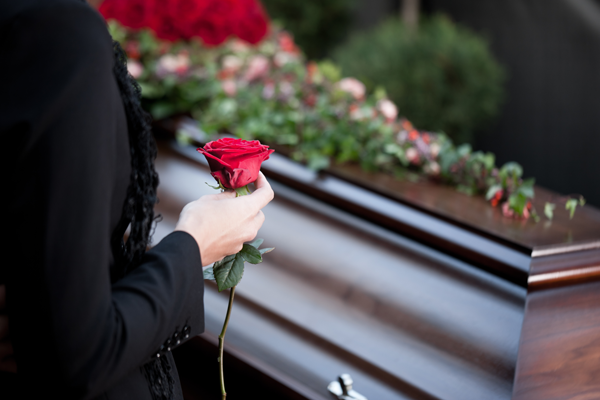 The law involving wrongful death damages is particularly complex. It takes an experienced law firm to navigate this area of the law. The White Plains injury attorneys at Worby Vecchio Edelman have multiple decades of experience in wrongful death cases. We’ll handle your case with determination, and will process your case in an aggressive manner so that it is ready to resolve in a reasonable amount of time. We have the experience and resources, both personnel and financial, to take any case to trial if we are unable to settle the matter for what we believe is a fair number. Our attorneys and staff will treat you with respect and compassion. We’ll communicate with you every step of the way; your e-mails and phone calls will be promptly returned. We work on contingency, so you’ll never owe us a fee unless we recover money on your case.